Multi pitch tread designed with computer simulation calculate and curve down the noisy elements. The sipes design of SX-608 can curve down the noise generation that has been created from the shoulder on the tire tread. Dual broad straight groove pattern was designed to enhance drainage efficiency to give better grip on wet road conditions. 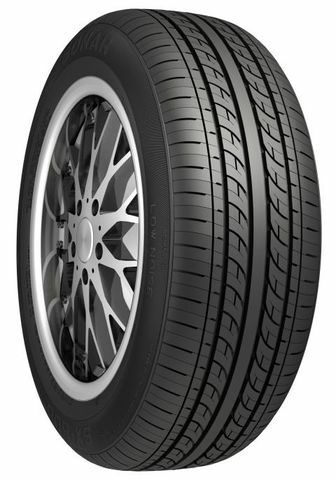 Several sipes on tire shoulder were designed to lower the tread strength and impact caused from the road friction to get the better comfort while driving. P195/65R-14 460AA 1,279 lbs N/A N/A N/A N/A N/A 24"
Purchase includes the Sonar SX608 tire only. The wheel rim shown in the picture is not included. Picture provided is a stock picture from the manufacturer and may or may not reflect the actual product being ordered. All Sonar SX608 tires are continuously developing with manufactured improvements. With that said, Simple Tire and the manufacturers have the right to change these tire specifications at any time without notice or obligation. Please Note: Specifications of the Sonar SX608 tires shown above are listed to be as accurate as possible based on the information provided to us by Sonar tires. I can already feel these tires losing traction..